Zann: What can you tell us about Hide, the forthcoming Foetus album? It's a neo-symphonic avant-psychedelic concept album informed by the culture of fear. It has some operatic components and is probably informed by the work I have done in composing in the last few years. This is what I just wrote for the press kit and it describes it best!!! Hidden beneath the trademark red, white and black color palette on the sleeve of HIDE is a very different beast from any of Thirlwell's other releases. Kicking off with the 9 minute Cosmetics, the album launches with operatic intensity. Choral vocals courtesy Thirlwell and trained opera singer Abby Fischer promise a glorious release as orchestras explode and seduce. The album continues thru the symphonic psychedelia Paper Slippers, an ode to to a person soon to be institutionalized . It next erupts into You Stood Me Up, an amphetimal rhapsodic stomper which redefines the phrase Melodramatic Popular Song. On the brooding, strange seductive Here Comes The Rain (also the first video on the album), he imagines a world consumed by mudslides when a drought is broken. Travelling to the majestic plains of Oilfields, the sombre, dramatic composition beckons crusades and presages the second coming as female voices embrace their destiny in hushed tones. The aptly titled Concrete is a piece constructed Musiq Concrete style with sounds creating the structure. The Ballad of Sisyphus T.Jones is a cinematic opus that recasts Sisyphus as a protagonist in Sergio Leone - style western, abetted by a grand of cutthroat child soldiers from Sierra Leone, while galloping thru multiple movements, mariachi against Morricone, escaping Thanatos and following Icarus to the sun. Fortitiudine Vincemnus (latin for By Endurance, We Conquer) is a short, extremely intense choral and symphonic blast, which warns the listener to stay in their homes. You're Trying to Break Me is a monstrous tale of persecution and paranoia with explosive cathartic instrumental sections, while the album ends with O Putrid Sun, a sour lullaby inspired by the loss of Thirlwell's friend to cancer." 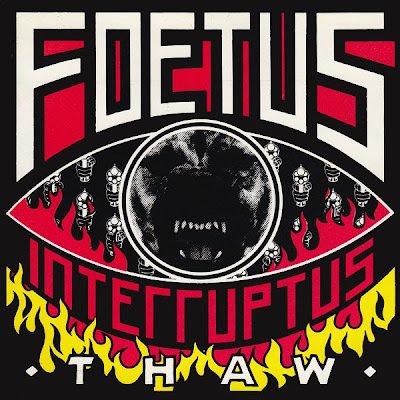 Zann: Your lyrics in Foetus are often as complex and elaborate as the music itself, do you write them as a complement to the music or are they a part of a different creative process? Thirlwell: Sometimes I have the lyric concept worked out in advance of writing the music, sometimes the music suggests the lyrics. I have even experimented with improvising lyrics and figuring out what they mean later. Mainly it is deeply worked out though. On the new album they were highly composed and researched, especially as a bunch of them are in latin, not my first language! Zann: Are there any secret meanings behind the monikers you used in the firsts Foetus records? Thirlwell: They were deliberately absurdist. On the back of the first Foetus single I listed some forthcoming releases that didn't exist on a whim, and I guess that got the ball rolling. Although at the time I felt each Foetus identity kind of had its own sound, or concept. Zann: How weird was to have an album as dense, intricate and aggressive as Gash released on a major label? By the way, I’ve got to say that this is my favorite Foetus record in a long list of favorite Foetus records. Thirlwell: I have recorded for a bunch of labels. Steroid Maximus, Ectopia is now being distributed by Universal, for example (via Ipecac), and, years before Gash, Hole was released by Sony in Japan. I don't think it was too weird to be on a major; it is where I was at at the time. Let's not forget, the Boredoms were on a major! Is the inference that they would groom one for the charts? 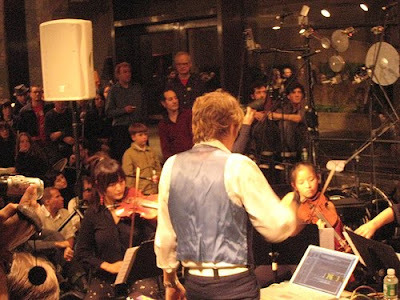 The budget wasn't that high, but was nice to be able to make that video, and to bring in a brass section. Sony were very hands off in the making. I still think it is a pretty extreme record, and probably the greatest culmination of my working in rock. I think its very stong. In fact David Khane who was the head of A and R suggested we did the song Mighty Whity as a single - I thought that was pretty extreme. Before I got scuttled I thought they were pretty cool. Zann: In Foetus, as in your numerous projects, you touch a wide variety of musical genres and yet you manage to turn that eclecticism into your own sound, what would you say are the key elements that define as you as a composer and musician? Thirlwell: I don't know how to answer that - I make music that is cinematic, evocative and intense. I think even the sparse slow stuff had a tension. 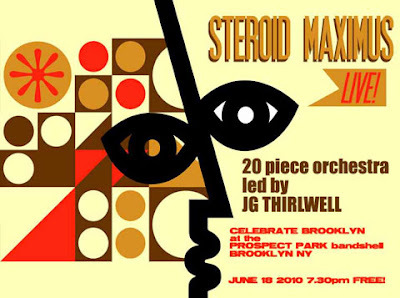 Zann: Will there ever be a new Steroid Maximus album? Thirlwell: A lot of what I would want to put on a Steroid Maximus album is vented thru my scoring of the cartoon The Venture Bros. The soundtrack album that came out last year was in some ways like an extension of Steroid Maximus, and it was Steroid Maximus that inspired the director to ask me to score the show. I have a ton of material that I have written for the Venture Bros, but whether it will see the light of day remains to be seen - it is up to the Williams Street (Cartoon Network's record label) to take the initiative to do another album. I'd love to do Volumes 2 and 3. So that vents the Steroid Maximus needs in me. As for when the Venture Bros is over, I don't know. I think Steroid Maximus will continue. Zann: You released Ectopia (the third Steroid Maximus album) on Ipecac Records, are you aware of the influence that you had on Mike Patton’s musical career? Thirlwell: I'm not aware that I have had any influence on his musical career. Why, did he say that I did? Zann: Tell us something about Manorexia; is it fair to say that, while Steroid Maximus has a more concrete approach, in Manorexia you have more room for improvisation and abstraction? Thirlwell: One of the things I want to do with Manorexia from the get-go was make something more spacious. Something which could unfold and be minimal, but it was recorded in a very organic way - it was just what I wanted to hear. Sparse and sound-oriented. It was morphed a lot as it has developed. I think there is a big difference between the first and second albums, and then the album on Tzadik (The Mesopelagic Waters) was another beast entirely. It was another place Manorexia wanted to go. I had imagined for some time that I wanted to reinterpret the material for a chamber ensemble, and I think it has worked really well, and shown the compositions in a different light. I am now working on another Manorexia album which will be released late 2010/ early 2011. The album will be mixed in 5:1 surround sound, and this time I will be playing everything again. Although I will be rescoring some of it to play with the Manorexia chamber ensemble live. Zann: You come from a Punk background and are often associated with the Industrial genre and yet your music transcends all kinds of categorization, do you think that this disregard for musical conventions has turn you into some sort of black sheep for the music industry? Thirlwell: I wouldn't say I came from a punk background. I wasn't a punk rocker and never made punk music. I'd say the punk explosion of 76/77 opened up worlds and suggested you didn't have to be a virtuoso on an instrument to make a righteous noise. If anything the explosion of independent labels facilitated what I did, and what I continue to do. I think I have done things inside the major music industry structure, and outside it. Someone once described me as a liminal artist and I can relate to that. Beyond that i can't stand to be pigeonholed or put into a sub-category. Our culture demands everything be summed up in a sound-bite. I'm sorry but you can't sum up what I do in a couple of words. When people ask me I just say I'm a composer. I don't know that I disregard totally musical conventions - I do use them but I mutate them. I jump around stylistically. Also since I don't have formal training, I think outside the box somewhat. I have been known to write things that are unplayable for my musicians - usually too fast. I do want to filter through myself, so that even when I am using recognized forms, I come up with something that is uniquely my own. Zann: Thanks so much for the interview, you have been an inspiration for me since I was a teenager and your music never ceases to amaze me. I hope someday we can see you playing live in Argentina. Thirlwell: I was in Buenos Aires a couple of years ago just to snoop around, but I didn't perform. Zann: ¿Qué podrías contarnos de Hide, el próximo álbum de Foetus? 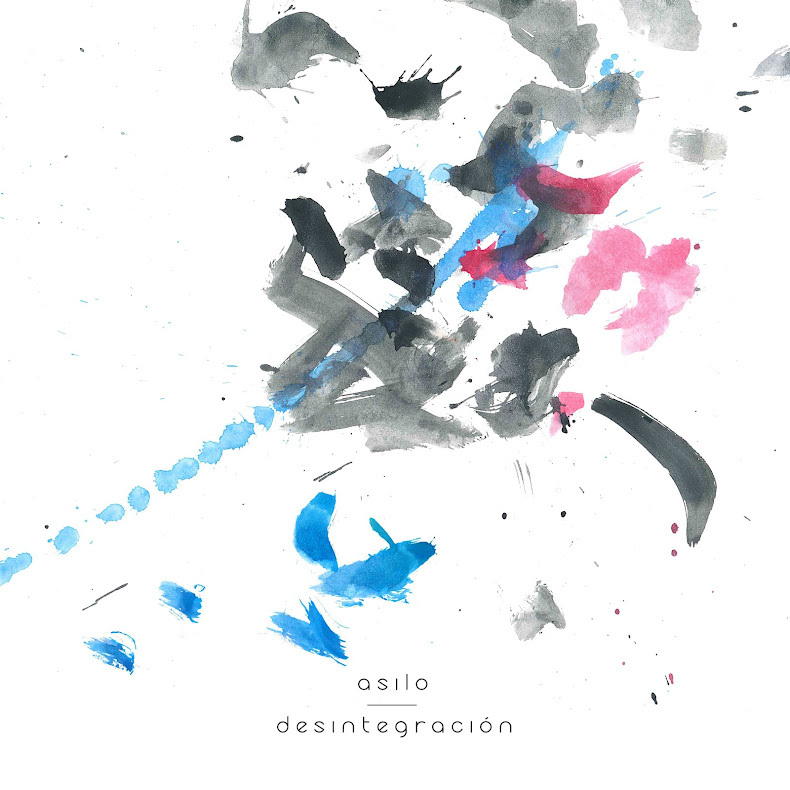 Es un álbum conceptual neo-sinfónico avant-psicodélico sobre la cultura del miedo. Tiene algunos componentes de ópera, y esta probablemente influenciado por el trabajo que estuve haciendo de composición en los últimos años. Eso fue lo que escribí para el kit de la prensa ¡y es lo que lo describe mejor!!! Oculto y guardado detrás de su paleta marca registrada roja, blanca y negra, HIDE es una bestia muy distinta a cualquier otro lanzamiento de Thirwell. Arrancando con los 9 minutos de Cosmetics, el álbum lanza su intensidad operística. Los coros vocales cortesía de Thirlwell y el entrenado cantante de ópera Abby Fischer promete un lanzamiento glorioso a medida que las orquestas explotan y seducen. El disco continua a través de la sinfónica psicodelia de Paper Slippers, una oda a una persona próxima a ser internada. Erupciona a la siguiente You Stood Me Up, una rapsodia anfetamínica que redefine la frase “Canción Melodramática Popular”. Incubándose, extraña, seductora Here Comes The Rain (también el primer video del álbum), el imagina un mundo consumido por avalanchas de lodo cuando una sequía se rompe. Viajando a través de las planicies majestuosas de Oilfields, la sombría y dramática composición señala la cruzada y presagia la segunda venida a medida que las voces femeninas abrazan su destino en suaves murmullos. La correctamente titulada Concrete es una pieza construida al estilo Musiq Concrete donde el sonido crea la estructura. The Ballad of Sisyphus T.Jones es un opus cinematográfico que tiene como en el papel de protagonista a Sisyphus en western al estilo de Sergio Leone, apoyado por un grupo de niños soldados de Sierra Leona con sus gargantas cortadas, mientras galopa a través de múltiples movimientos, los mariachis contra Morricone, escapando de Thanatos y siguiendo a Icaro hasta el sol. Fortitiudine Vincemnus (en latín, Por la fuerza, nosotros conquistamos) es una explosión sinfónica y coral extremadamente intensa, que alerta a los oyentes para que permanezcan en sus hogares. You're Trying to Break Me es un monstruoso cuento de persecución y paranoia con explosivas secciones de catarsis instrumental, mientras que el álbum termina O Putrid Sun, una ácida canción de cuna inspirada por la pérdida de un amigo de Thirlwell que murió de cáncer. Zann: Tus letras en Foetus son por lo general complejas y elaboradas como la música misma, ¿las escribís como un complemento de la música o son parte de un proceso creativo diferente? Thirlwell: A veces tengo el concepto de la letra resuelto antes que cuando escribo la música, otras veces la música sugiere las letras. Estuve experimentando con letras improvisadas y resolviendo que significaban posteriormente. Aunque por lo general casi siempre está bien resuelto. En el nuevo disco hubo una alta composición e investigación, especialmente porque muchas de ellas están en latín, ¡no es mi primera lengua! Zann: ¿Hay algún secreto atrás de los apodos que usaste en los primeros discos de Foetus? Thirlwell: Son deliberadamente absurdos. En la parte de atrás del primero single de Foetus anote algunos de los próximos lanzamientos que no existían y se me antojaron, y creo que eso hizo correr la pelota. Aunque al mismo tiempo sentí que cada identidad de Foetus tenía su propio sonido o concepto. Zann: ¿Qué tan loco fue tener un disco tan denso, intrincado y agresivo como Gash saliendo por un gran sello? De paso, tengo que decirte que este es mi disco favorito de Foetus de la larga lista de discos favoritos de Foetus. Thirlwell: Grabe para un montón de sellos. Steroid Maximus, Ectopia está siendo distribuido por Universal, por ejemplo (vía Ipecac) y años más tarde Gash, Hole fueron sacados por Sony en Japón. Pienso que no es muy loco estar en un sello grande, fue donde estuve en su momento. ¡No olvidemos que los Boredoms están en un sello grande! ¿Es por la inferencia que ellos hacen para que uno aparezca en los charts? El presupuesto no fue tan alto, pero estuvo bien para hacer un video, y traer una sección de vientos. Sony estuvo con sus manos fuera cuando se hizo el disco. Todavía pienso que es un disco muy extremo y probablemente la gran culminación de mi trabajo en el rock. Pienso que es muy fuerte. De hecho David Khane que fue la cabeza de A y R sugirió la canción Mighty Whity como single – Aunque yo pienso que era muy extrema. Antes de hundirme pensé que estaba bastante buena. Zann: En Foetus, así como en numerosos proyectos, tocaste una amplia variedad de géneros musicales y aun así te las arreglaste para transformar tu eclecticismo en tu propio sonido. ¿Cuáles son los elementos que vos decís que te definen como compositor y músico? Thirlwell: No sé cómo responder eso – Yo hago música que es cinematográfica, evocativa e intensa. Pienso que incluso las pocas cosas lentas tienen una tensión. Zann: ¿Cuándo va a haber un nuevo disco de Steroid Maximus? Thirlwell: Un montón de lo que pondría en un disco de Steroid Maximus está saliendo a través de mi música para las caricaturas de The Venture Bros. La banda de sonido del disco salió el año pasado y fue en alguna forma como una extensión de Steroid Maximus, y fue Steroid Maximus lo que inspiro al director para pedirme que yo haga la música. Tengo toneladas de material que escribí para los Venture Bros, pero todavía se verá cuando salga a la luz del día – eso depende de Williams Street (el sello de Cartoon Network) que tome la iniciativa para hacer otro disco. Me encantaría hacer los Volumenes 2 y 3. Así que eso alivia mis necesidades de Steroid Maximus. Cuando termine lo de Venture Bros, no sé. Yo pienso que Steroid Maximus continuará. Zann: Sacaste Ectopia (el tercer disco de Steroid Maximus) en Ipecac Records, ¿estabas al tanto de la influencia que tuviste en la carrera musical de Mike Patton? 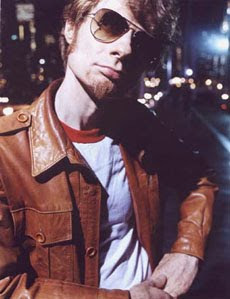 Thirlwell: No estaba al tanto de haber tenido alguna influencia musical en su carrera. ¿Por qué? ¿Qué dijo? Zann: Contanos algo sobre Manorexia; ¿es justo decir que, mientras Steroid Maximus tiene una aproximación más concreta, en Manorexia tenés más lugar para la improvisación y la abstracción? Thirlwell: Una de las cosas que quiero hacer con Manorexia desde el comienzo es hacer algo más espacioso. Algo que se extiende y es minimalista, pero se graba de una manera muy orgánica – es eso lo que yo quiero escuchar. Escaso y orientado al sonido. Se fue transformando mucho a medida que se desarrollaba. Yo pienso que hay una enomer diferencia entre el primer y el segundo álbum, y después el álbum en Tzadik (The Mesopelagic Waters) fue otra bestia distinta por completo. Fue otro lugar hacia donde Manorexia quiso ir. Yo imaginaba hace algún tiempo que iba a reinterpretar el material para un ensamble de cámara y pienso que ha funcionado realmente bien y se mostraron las composiciones bajo una luz distinta. Ahora estoy trabajando en otro disco de Manorexia que saldrá a fines de 2010/principios de 2011. El álbum va a estar mezclado en sonido sorround 5:1 y esta vez estaré tocando todo de nuevo. Aunque estaré reescribiendo algo de eso para tocar con Manorexia con el ensamble de cámara. Zann: Venís de un pasado Punk y frecuentemente estas asociado al género Industrial, y a pesar de todo tu música trasciende toda clase de categorización, ¿Pensás que esta falta de respeto por la convenciones musicales te han convertido en una suerte de oveja negra de la industria musical? Thirlwell: Yo no diría que vengo de una escena punk. Nunca fui punk rocker y nunca hice música punk. Diría que la explosión punk del 76/77 abrió al mundo y sugirió que uno no tiene que ser un virtuoso en un instrumento para hacer un ruido correcto. Aunque después de todo la explosión de sellos independientes facilitaron lo que hice y lo que continuo haciendo. A veces pienso que hice cosas dentro de la gran industria musical y otras fuera de ella. Alguien una vez me describió como un artista liminal y me puedo relacionar con eso. Más allá de eso no puedo soportar que me enjaulen o me pongan en una sub-categoría. Nuestra cultura demanda que todo sea resumido en un pedazo de sonido. Lo siento pero no puedo resumir todo lo que hice en un par de palabras. Cuando la gente me pregunta si diría que soy un compositor no lo sé porque desprecio por completo las convenciones musicales – Las uso pero las voy mutando. Salto por ahí estilísticamente. Tampoco tengo entrenamiento formal, yo trato de pensar lateralmente o algo así. Fui conocido por escribir cosas que son intocables para mis músicos – por lo general muy rápidas. Yo quiero filtrar a través de mí mismo, así que incluso cuando estoy usando formas reconocidas, yo aparezco con algo que es únicamente mío. Zann: Muchas gracias por la entrevista, fuiste una inspiración para mi desde que era un adolescente y tu música nunca deja de gustarme. Espero poder verte tocar algún día en vivo en Argentina. Thirlwell: Estuve en Buenos Aires un par de años atrás solo para recorrer un poco, pero no para tocar.